Gaydon, 25 January 2011. This year marks the 50th anniversary of one of the most famous and desirable cars in automotive history - the Jaguar E-Type. The company will mark the anniversary at the 2011 Geneva Motor Show and go on to celebrate at Goodwood’s Revival and Festival of Speed, the Pebble Beach Concours d’Elegance, the Nurburgring Old Timer Grand Prix and a host of Jaguar customer, dealer and lifestyle events worldwide. 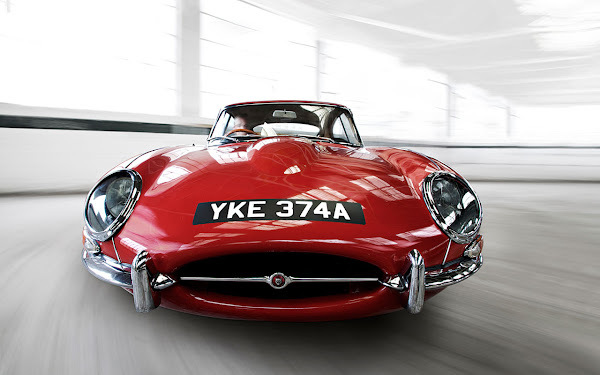 When it was launched in 1961, the appeal of E-Type transcended the automotive world. Such is the inherent rightness of its proportions, stance and purity of line, that it is a permanent exhibit in New York’s Museum of Modern Art. The now iconic E-Type set new standards in automotive design and performance when it was launched in 1961. Its influence is still apparent in Jaguar’s modern range: cars that offer a peerless blend of performance, comfort, cutting-edge technology and award-winning design. Unveiled at the Geneva Motor Show in March 1961, Jaguar’s E-Type caused a sensation. Capable of achieving 150mph, but costing a fraction of the price of rivals with similar performance, it was the affordable supercar and became an instant icon-remaining on sale for 14 years and selling more than 70,000 units, making it Europe’s first mass-produced sports car.